The Focus RS is the old boy, the car that arrived to kick the former horsepower champs ? the Subaru WRX STI and Volkswagen Golf R ? in the teeth with oodles of power, standard all-wheel drive, and a frikkin? drive mode dedicated to sideways funny business. The Civic Type R is the Rookie of the Year and a car that takes a hardline approach to driving performance in a way that few in the mid-$30,000 range ever have. But which of these firecrackers is the better buy? The Ford has the edge on power and an undeniably attractive style, but the Civic is arguably the most entertaining front-wheel-drive car since John Cooper got his hands on an Austin Mini. 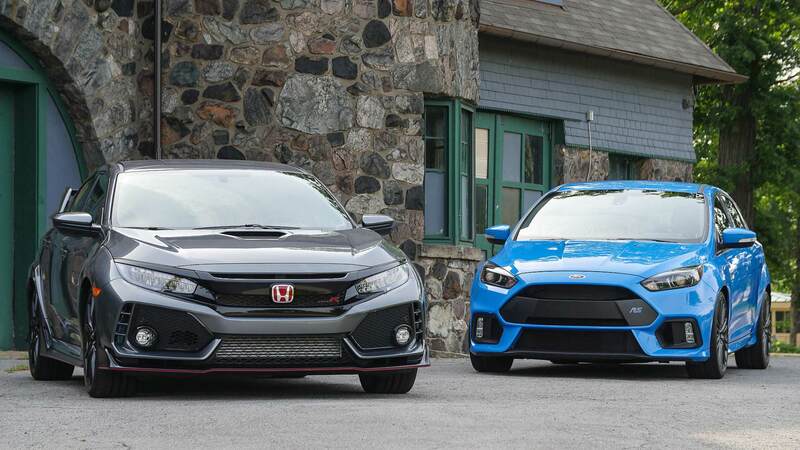 Read on to see what?s tops: the Ford Focus RS or the Honda Civic Type R.